It is a free space where families can read and write side by side. 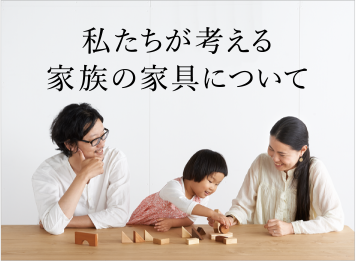 "I wish there was a cafe space on the kitchen counter opposite" "I want a second table at dining room so that I can concentrate on learning!" 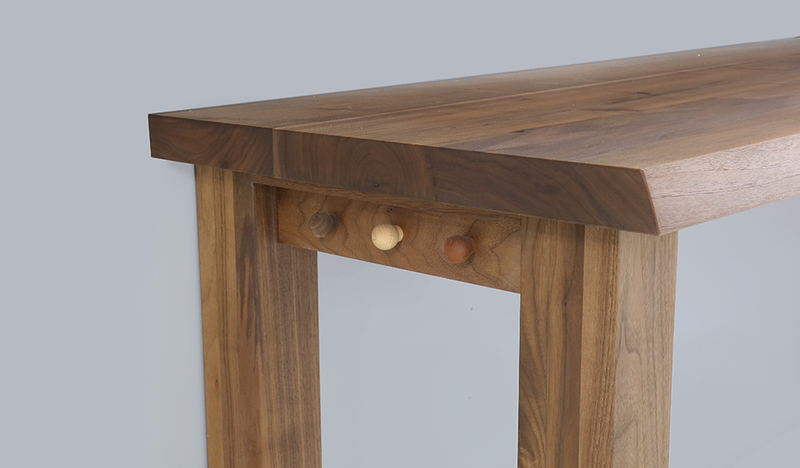 Born from various voices, it is a solid desk with live edge. 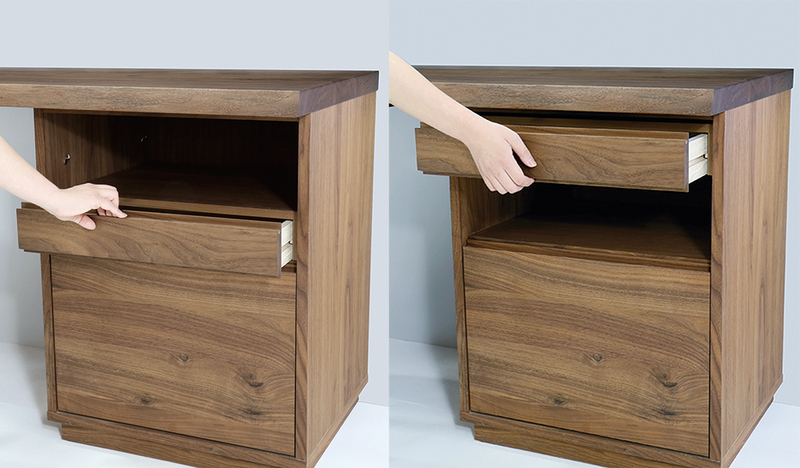 The drawer can be swapped up and down. 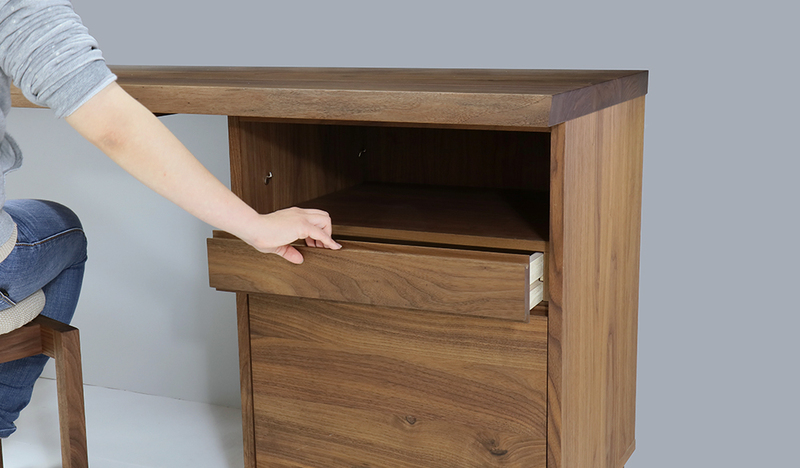 A movable drawer that can change its height according to your child's line of sight. 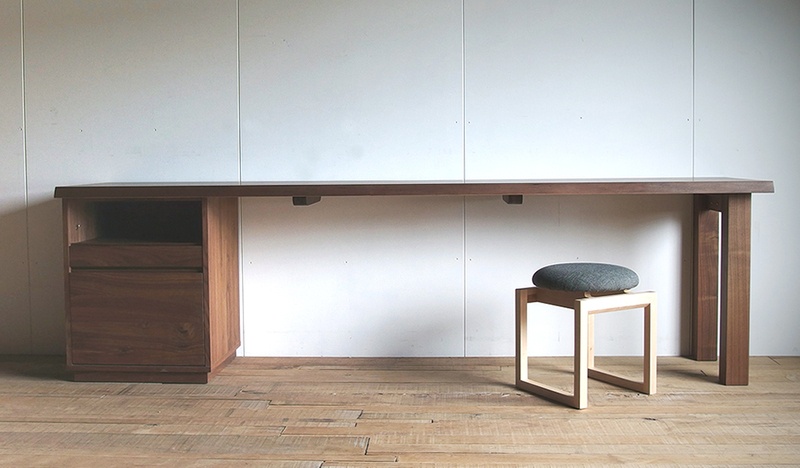 In a place where you can reach easily when you sit down. It has mouth of the wiring, so it is fitted perfectly on the wall. 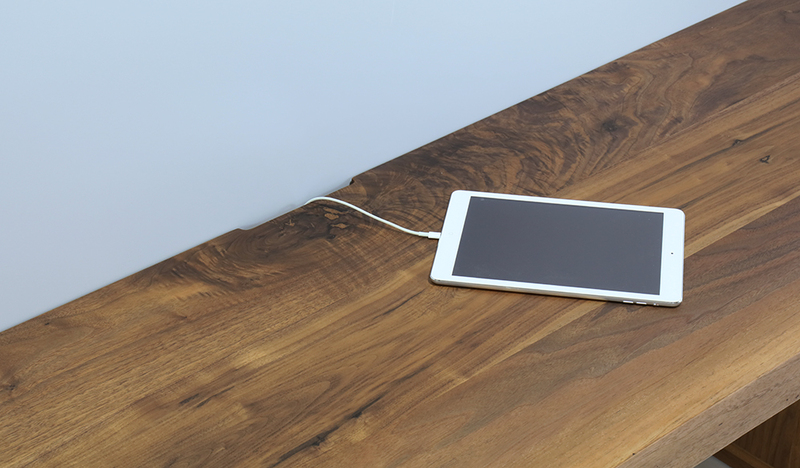 You can do desk work that requires charging without stress. It is also refreshing on the crowded desk. 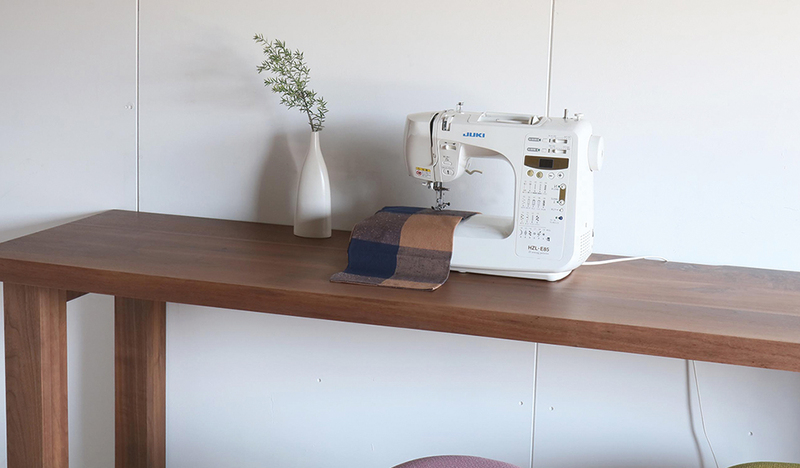 Sewing machine and iron can also work extensively. There is a hook in the nice spot. A convenient hanging hook on the side of two legs. The tree species are walnut, maple, black cherry. Since you can change the left and right, you can adapt flexibly to new lives such as remodeling and moving. セミオーダーメイドの商品です。価格表を参照ください。 It is a semi-custom-made product. Please refer to price list. 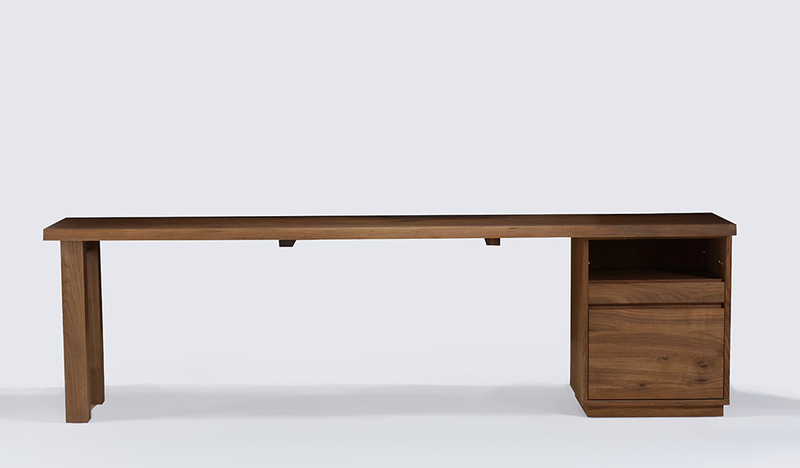 ※Please contact us for orders of W 2000 or more.